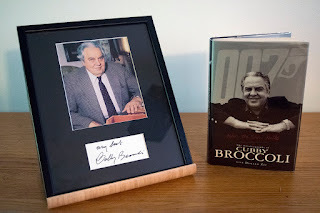 James Bond - The Secret Agent: Today we remenber Cubby Broccoli! 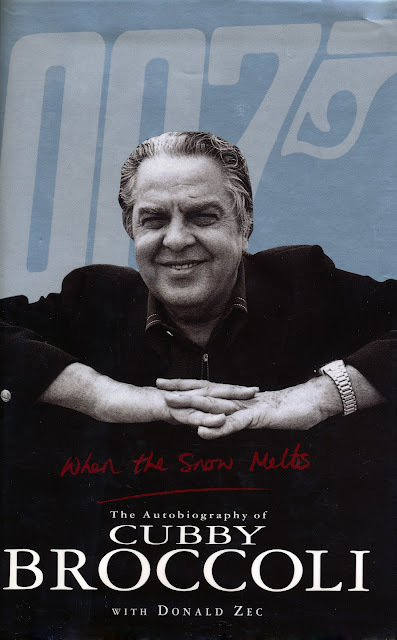 Today we remember Albert "Cubby" Broccoli. 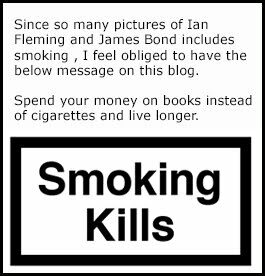 The first James Bond producer who together with Harry Saltzman tock James Bond to the silver screen. "Cubby" Broccoli, as his friends called him, sadly passed away 20 years ago today. In 1998 Cubby Broccolis autobiography WHEN THE SNOW MELTS was released by Boxtree. This is a great book that I read when it came out and surly will reread when I have the time. If you do not have this book in your collection I highly recomend that you get it. My signature together with the book.